I couldn't resiste the Wiggle coloured charge saddle and grips to go with the other orange andised bits. Now all I need is some orange chainring bolts. Last edited by 1584cc on Sat Apr 17, 2010 4:41 pm, edited 1 time in total. Has this got richey or saracen dropouts? Rears have Saracen and the fronts say Tange, had my first ride on it today, only a mile or so as im not too fit but it was great, felt so light. were. Don't know much about the newer Saracens? into a hybrid (straight bars, chunkier tyres etc). thinking of fitting road tyres for my main commute. I think it is a late 80's, you may be able to put me right on this? Shimano Exage 500 / 21 speed gearset. all in pretty good condition. like it just as it looks now. 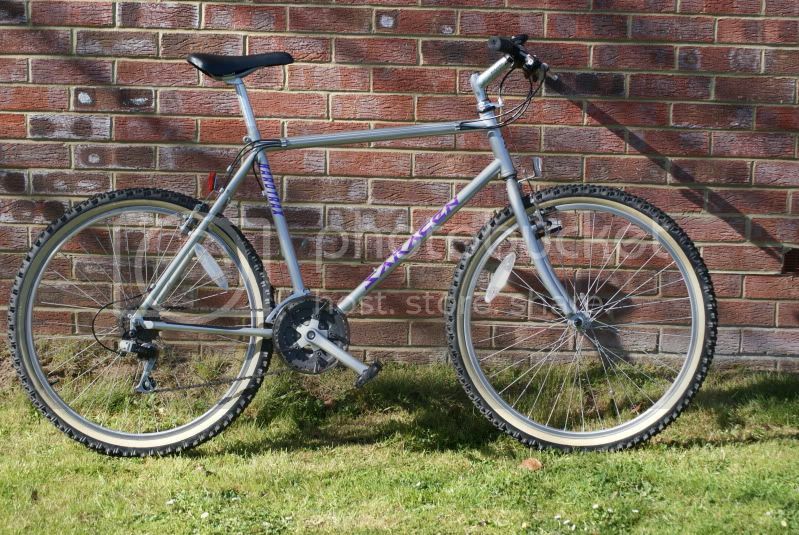 File comment: Saracen Trekker, great bike.